The successful applicant will join the existing team supporting our client’s customer base within IT support, managed IT solutions and Cloud services. Reporting to the Service Delivery Manager the IT Support Analyst Apprentice will be responsible for both inbound and outbound technical activities, supporting the company’s products and services supplied to customers. The role is fundamentally to assist customers with IT support related issues as well as day to day support tasks which will include monitoring and backup checks, builds for customer orders, and managing the support ticket queue. As our client is a Managed Service Provider covering a number of customers, there are a high number of products supported which will give the successful candidate an excellent opportunity to develop their knowledge in a varied range of both software and hardware. Throughout the duration of the apprenticeship, you will receive Microsoft training and accreditation through blended learning. This combines online technical training within a virtual classroom, as well as real-world and practical experience with your employer. The certifications you gain are highly respected and globally recognised. 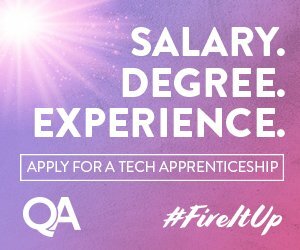 The skills, knowledge and experience you will gain whilst on the programme are invaluable, giving you the best possible start in your professional career within the IT sector. Our client is an IT support & IT solutions company operating from Newbury in Berkshire. They deliver IT support, managed IT solutions and Cloud services.